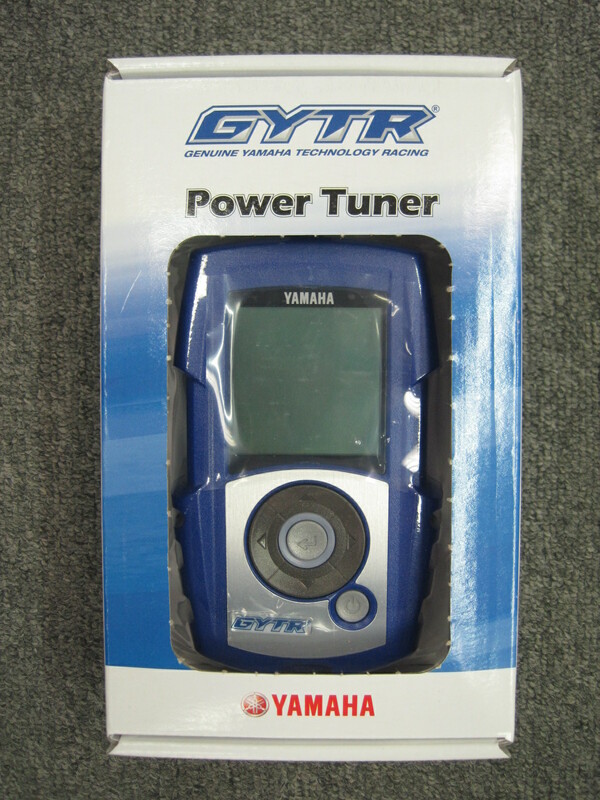 An essential tool for the 2013 Yamaha YZ450F, The GYTR Power Tuner. Yamaha’s YZ450F is one of the best Motocross machines ever developed, and one of the big reasons is the adaptable, user adjustable Electronic Fuel Injection. 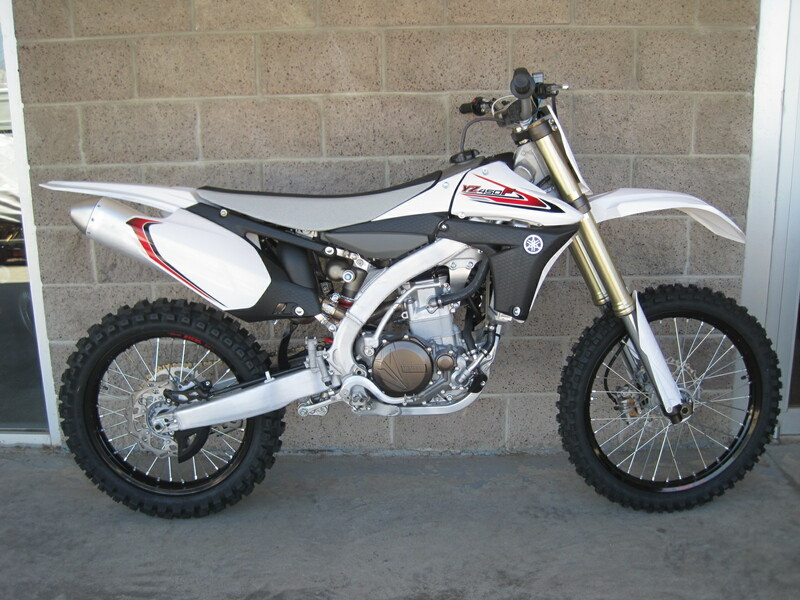 The 2013 Yamaha YZ450F is one of the most revolutionary motocross machines ever built. From the four titanium valve top end to the unique rearward facing exhaust setup, the YZ450F’s entire layout shows it’s total dedication to performance. But one of the prime features of the bike isn’t even a part of the motorcycle at all, it’s the Accessory GYTR® Power Tuner, that lets tuners adjust air/fuel mixture and ignition timing maps to match engine performance characteristics to the rider and track conditions. Loads of bikes have electronic fuel injection, but Only Yamaha makes it so easy to tune. GYTR® Power Tuner is an easy plug-in fuel-injection and ignition tuning tool that allows riders to quickly adjust both the fuel and ignition maps to suit riding conditions and rider preference. It allows 9 easy-to-program adjustment points for both the fuel and ignition maps. The Power Tuner’s Monitor function allows the user to monitor the data from various sensors on the bike as well as adjust idle timing, see engine running time, and access the self-diagnosis function. The Power Tuner is powered by two AA batteries, thus no laptop is required, and no time consuming downloads are necessary. Also important, the unit does not have to be plugged into the bike to create maps, so a mechanic can create new maps while the rider is on the track, testing. The Power Tuner’s compact design can fit in the palm of your hand or a pocket, etc, and the Memory function can save up to 9 custom maps. Suggested Retail on the Power Tuner is just $279, and it is available at Vickery Motorsports on online at http://www.vickerymotorsports.com . If you buy a YZ450F in Denver, Vickery Motorsports can help you learn how to adjust the EFI. Call us or stop by for more information, or visit www.vickerymotorsports.com . If you buy a 2013 Yamaha YZ450F in Denver, you’ll want to make sure to pick up the GYTR Power Tuner, an essential tool to get the most out of your electronic fuel injection.